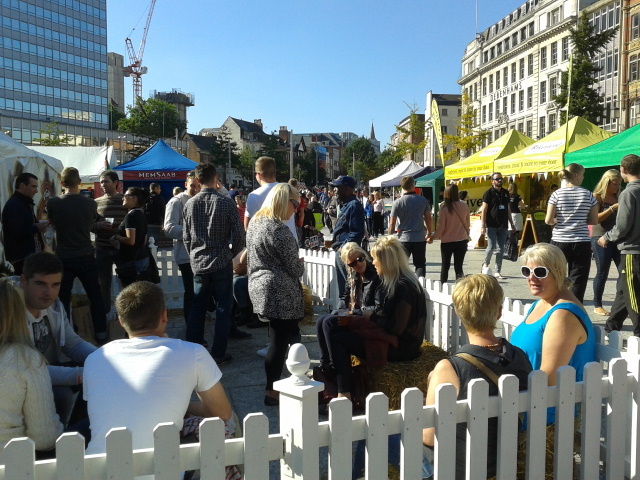 Following the success of last years event – check out our write up here – which saw over 100,000 pass through, the Great Notts Show is returning to take over the Market Square, albeit slightly earlier this summer. 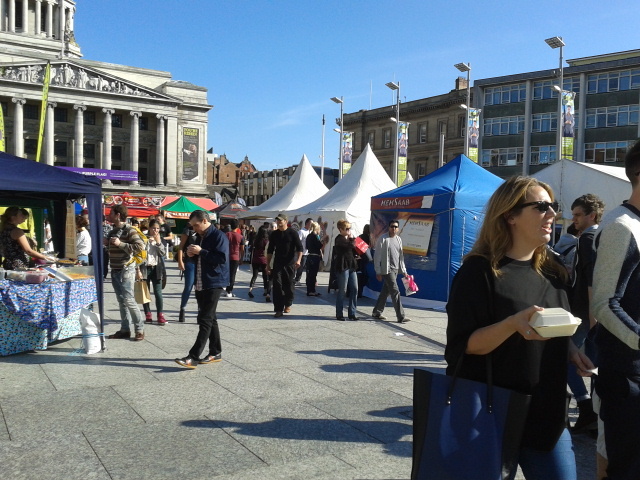 From Friday 13 through to Sunday 15 of June the square – and surrounding streets will be awash with demo tents, stalls, live exhibitions, activities and more all celebrating the great and good of Nottingham. As with last year the focal point of proceedings will be the live music stage, and this year there will be an actual proper stage set up, sponsored by casino chain Alea, with music courtesy of Nottingham promoters I’m Not From London. SUNDAY: The Gorgeous Chans, Seas of Mirth, The Idolins, Alta Pueblo. What’s more you can enjoy the music from the bar area which is being run by Flipside Brewery who will have a 12x12m bar area including a fully heated and lit outdoor area that will sit right in front of the main stage – which sounds perfect to us. There will be over 90 stalls at this years event including the return of award winning butcher Johnny Pustkai of Sherwood butchers JT Beedhams. Johnny will have a fully stocked butchers counter and will also be bringing along some locally reared pork for a Hog Roast. There will also be a range of foods from all over the world including Mexican, Indian, Italian, Thai and Caribbean, plus Greek restaurant Yamas, who were such a hit last year, will also be back – just make sure to queue early. For those with more traditional tastes Moleface Pub Company, whose venues include The Wollaton, Larwood and Voce and The Lord Nelson, will be serving up full roast dinners – including awesome Yorkshire puddings. Hockley cafe Hartley’s will be along and specialising in milkshakes and ice creams while Simply Cakes will be along, situated in front of the Council House in the events only pink tent. The event spans from beyond the Market Square with stalls and exhibitors on Smithy Row and Long Row, including an area dedicated to tourism with the likes of the Galleries of Justice, Wollaton Park, the Caves and Nottingham Castle all represented – and of course Robin Hood will be along to join the fun. 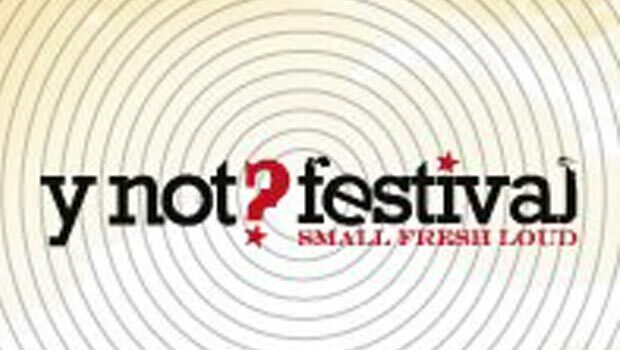 There will also be stalls on Queen Street and King Street. 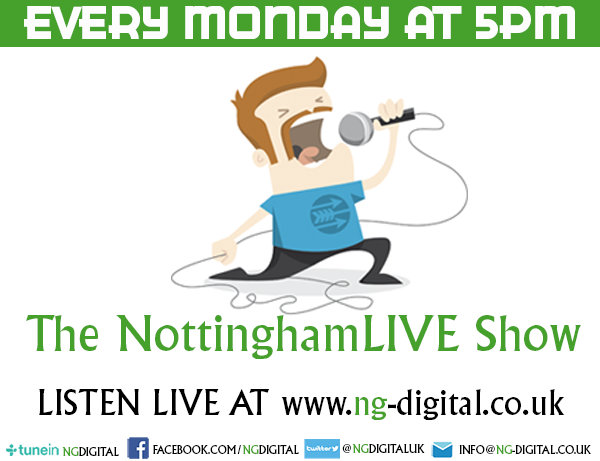 All in all this promises to be a three day celebration of all things great about Nottingham, hopefully the weather will hit the heights of last years event and once more thousands will get to sample some of what makes Nottingham Great.